The following review is based on an eARC provided to me by the publisher via Edelweiss in exchange for my honest opinion. I loved Bethany Griffin’s Poe-inspired duology Masque of the Red Death and Dance of the Red Death, so I was very excited to read The Fall, a standalone re-imagining of The Fall of the House of Usher. I ended up loving this book, but it took me a couple of chapters to get used to the structure. The story is narrated by Madeline Usher between ages 9 to 18 and alternates between chapters during these nine years inbetween. As a reader, you see how different she is between these two points in her life and slowly begin to fill in the gaps as the story moves along and you piece together what happened. At times, these jumps between the two points in the narrative threw me because I left fifteen-year-old Madeline at a cliffhanger to then spend two chapters with nine-year-old Madeline, but on the whole it was a genius move on Griffin’s part and made it hard to put the book down. Madeline is cursed, as is her mother and indeed most of her family line hundreds of years back. Her family never leaves the land the house is built on and they drift through it like ghosts, all lost in their own world. From early on, Madeline has felt the house like a presence. She knew what the house wanted or didn’t want. She explored it. She wanted to please it. But she was also afraid of and imprisoned by it. The presence of the House in this book is total and eerie. It permeates and haunts everything, everyone, every relationship between the characters. And it drives a wedge between Madeline and Roderick, her twin brother. He can’t hear the house. He, unlike Madeline, is afraid of everything. And he’s the one who gets to leave and go to school in the outside world, while Madeline has never even been to the nearest town. After the death of their parents, Madeline is all alone in the house with the doctors the family had hired years ago to tend to their many ailments and maybe find a cure to the curse. Nobody takes care of her. Roderick’s visits are few and far-between. Madeline has no one. So when a young doctor comes to the house as an apprentice and shows her attention even though his motives are questionable, what will she do? I was horrified by the way Madeline had to live. Isolated, mostly uneducated (letters begin to move around the page before her eyes), left to her own devices. Especially after her parents’ deaths, I found her situation precarious and vulnerable. But as the tale develops, she begins to show incredible strength and initiative. She refuses to back down and succumb to the curse that has haunted the rest of her family. There were many situations in this book that made me very uncomfortable, often not with what was said and shown but with gaps and silences, with space between scenes. The unspoken is at least as if not more important than what is actually on the page, something I already admired in Griffin’s earlier novels. The Fall was all about voices, about hauntings, about layer upon layer of secrets. Its unusual pacing develops a momentum that kept me completely wrapped up in the dark hallways of the Usher mansion. While knowing the original Usher short story by Poe enhanced my reading experience of The Fall, it is no problem to read Bethany Griffin’s novel without any previous knowledge of the original story. Personally though, I loved how she picked up on and twisted several elements both from the content of the story as well as its narration. The tarn, the coffin, the fissure running through the house, Roderick’s friend, the overload of sensation experience by the cursed – it was all there, but had been given a new meaning. The Madeline in the short story is a mute figure, while Griffin’s Madeline finds her voice, her strength, her will to escape and live no matter what. The Fall is an eerie read perfect for the season. Its atmosphere of doubt and dread builds up and shifts slowly until I, too, felt caught in the endless corridors of the house. As is typical of the Gothic tradition, the reader can never be sure whether what is happening is natural or supernatural, illness or curse, real or just the fantasies of an unreliable narrator. Even though I knew the Poe story, I could never tell which way the plot would turn. 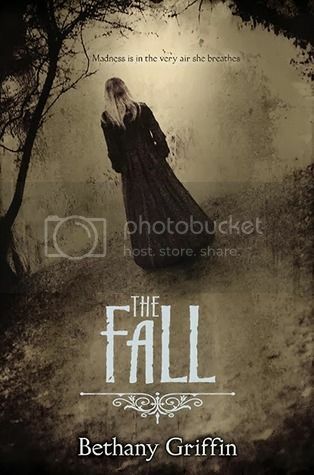 With a complex cast of characters and a narrative that spans almost a decade, The Fall is a story of madness, hope, and twisted desires that will continue to haunt readers even long after they have reached the last page and closed the book. 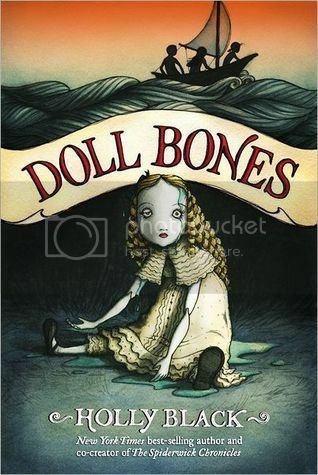 I absolutely love the fact that this book is loosely based on the Poe novel. What a great way to get kids interested in the classics! I'm adding it to my TBR list. Right? I love that so many re-imaginings of classics are coming out lately! There are so many great classics that people just don't normally come in touch with anymore, or learn to hate because they are forced on them in school. I was more conflicted about Masque of the Red Death than most but my love for all things Poe makes me think I should consider giving this one a shot. So far, I've been hearing mostly-positive things and your thoughts here certainly supports that! I agree that it's the perfect time for a book like this too :) Thanks for the lovely review Carmen and I'm glad you enjoyed this one so much!! So excited to read this one! I want to read the original version first for sure. Maybe I'll start it soon for Halloween. Glad you liked it! House of Usher is definitely one of Poe's best stories :) I hope you'll love both the original and the re-imagining! I also thought The Fall was a pretty good story. Made me realize I need to read the Masque of Red Death soon! This is the first review for The Fall I have read and I so want to read it now. I love all things Poe so when authors write about the stories or spin off of them im totally in to it . Thank you for such an in-depth review with out given the full book away your awesome! Aw, thank *you* for the comment ^^ You just gave me the warm-and-fuzzies. 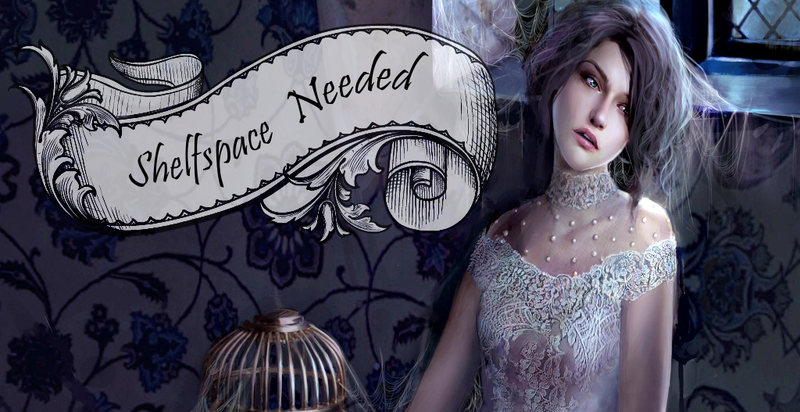 If you're looking for another Poe-inspired series you should check out Kelly Creagh's Nevermore books! I really liked the beginning and the overall creepiness, but I was let down by the ending and the middle part was a bit boring :( I'm happy you loved it!